A lifetime ago, Victora McQueen escaped Charlie Manx’s “Christmasland.” But he never stopped thinking about her and now he’s on the road again with a new passenger – her son. Mr. Hill envisions an epic battle between real and imaginary worlds, makes this fight credible and creates a heroine who can recklessly crash from one realm to the other. She is a brave biker chick named Vic McQueen, who rides a Triumph, of course. When she says ‘Come on, honey’ as the story goes into high gear, she’s talking to that bike … NOS4A2, as in Nosferatu, F. W. Murnau’s classic vampire movie, loves playing with words. The book’s villain is a wizened ghoul who tries to lure children to a place where it is always Christmas, with fun features like a Sleigh House, and you don’t have to be Cassandra to know there’s something nasty about that. 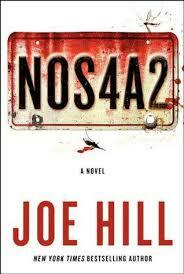 And NOS4A2 is not really a vampire story, anyway; Mr. Hill’s imagination is much more far-ranging than that. Which is scarier: bloodsucking vampires or the unexpected sound of treacly Christmas music suddenly playing in the summer? Hill’s NOS4A2 is the kind of big, wide-ranging horror novel that will inevitably evoke comparisons to Stephen King’s work. That, it seems to me, is less the result of direct literary influence than of a shared sensibility and a common belief that horror fiction, properly utilized, can take a reader anywhere. NOS4A2 is horror fiction at its most ambitious, and it goes to some very strange places indeed … A road novel, a horror novel and — most centrally — a novel of character, NOS4A2 is a substantial accomplishment, and it marks Hill as a major force — perhaps the major force — among the younger generation of horror writers. 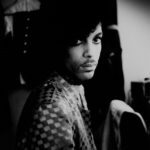 Like the best of its dark breed, it offers visceral narrative pleasures while never losing sight of the human element that lies just below the extravagantly imagined surface. It's a big, sloppy, nostalgic homage to the kind of unsubtle doorstoppers of the late 1980s horror boom, in which a good (but possibly flawed) character encounters some emblem of supernatural evil against a backdrop of working- or middle-class America. Like most of those novels, [NOS4A2] has energy, plenty of narrative hooks, and a brash intensity. It's also overlong and clumsy – not the kind of narrative vehicle that can make abrupt turns around tight corners … For the most part, [NOS4A2] exists in a pleasantly naive bubble of time and space, within which events such as the Iraq war and global warming have had no visible influence. This is a legitimate stance for a novel that wants to have fun with monsters: but Hill could have offered readers more complicated villains and more genuine surprises. What did you think of NOS4A2?